From making pickles to healthy salad dressings, vinegar is part of our culinary life. Food vinegars have an average acetic acid level of 5 percent. 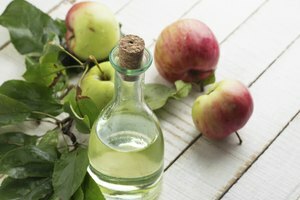 Of the common vinegars, apple cider vinegar has the highest acetic-acid content: 8 percent. A higher acidity adds more tanginess to a dish while reducing the need for salt. 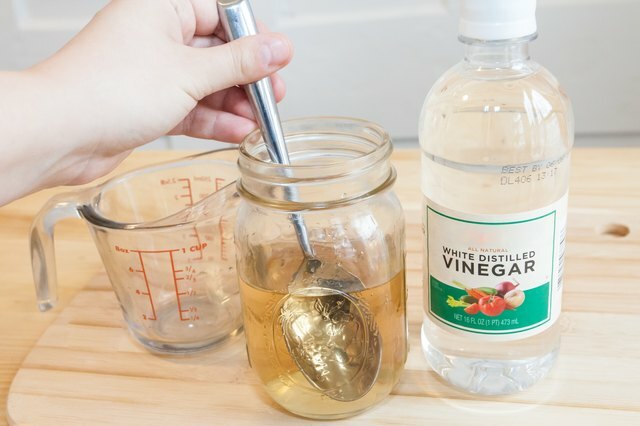 You can easily increase the acidity of a vinegar by blending common table vinegar -- which has 5 percent acetic acid -- with a stronger variety. 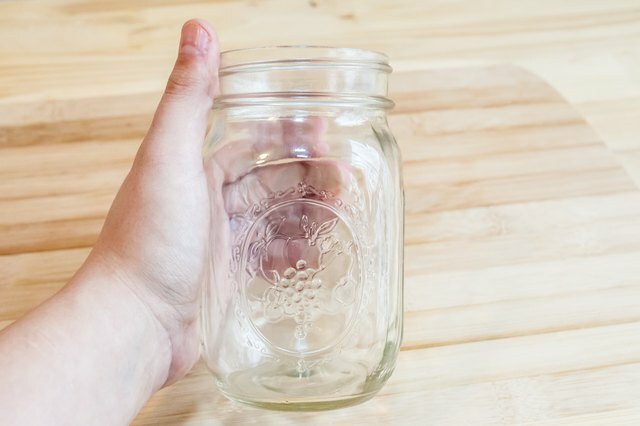 Place the jar in a ventilated area. 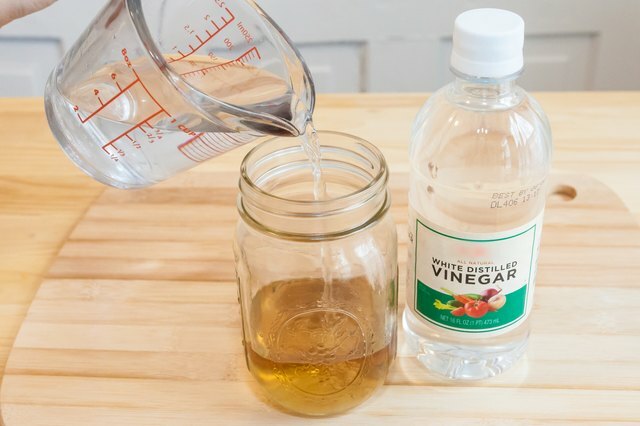 Measure equal parts white vinegar and pickling vinegar. Add both varieties to the jar. Seal the jar and shake it vigorously to combine the vinegars. You can also use a long-handled spoon to combine them. 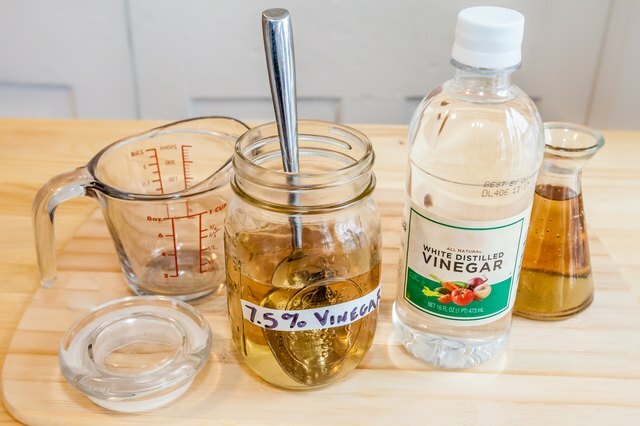 Label the jar "7.5% vinegar" and store until needed. Brands of pickling vinegar with 10 percent acetic acid levels include Ozark White Distilled Vinegar and Sarson's Malt Vinegar. 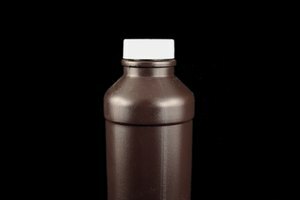 Do not increase acidic levels to above 8 percent if the vinegar is for consumption or food preparation. Vinegars with more than 10 percent acid levels are used as weed killers. Although vinegar can be distilled by either boiling or freezing, both methods make achieving an acceptable acid percentage difficult.